78,000 fans witnessed the World Heavyweight unification fight between Anthony Joshua and Joseph Parker on Saturday night. The Matchroom Boxing promoted show took place at the Principality Stadium, Cardiff, Wales with the roof closed, bars flowing, fans singing and a global television audience. 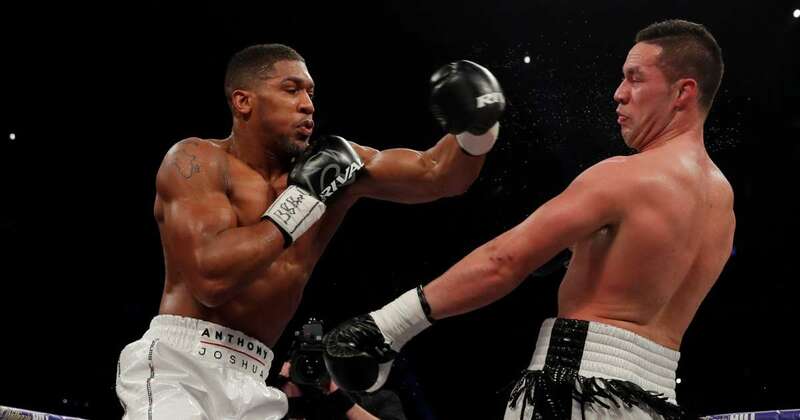 28-year-old Brit Anthony Joshua brought his IBF, IBO & WBA ‘super’ World Heavyweight titles to the contest, while his opponent, 26-year-old New Zealander Joseph Parker, brought the WBO World Heavyweight title. Both men had never tasted defeat, in the professional ranks, and were looking to take a step closer to completely unifying the heavyweight titles. Boxing being the fractured and complicated sport it is; has several champions in each division claiming to be the World champion. Boxing fans want to see only one ruler per division. Before the fight, the Parker camp claimed Joshua had a weak chin and that their charge was going to fully test it. Yet, the New Zealander spent the fight on the back-foot. It was Joshua who took and controlled the centre of the ring. Joshua’s orthodox jab was the better of the two and while there wasn’t a huge volume of punches landed, it was the home fighter who had the better accuracy. Parker fell short with his punches and was too negative, he landed some to the body but was wild when hurt. He needed to seize the occasion but Joshua boxed well and never really let his rival into the contest. In the third, the Kiwi followed up a head clash with a left-hook. Cheeky and gained a word from the referee. It was a round that Joshua was well on top. There were few heated exchanges though the pair did land the occasional big shot. The middle-rounds were the most action-packed. When things did get interesting the Italian referee Giuseppe Quartarone, was far too quick in breaking things up. He didn’t allow any in-fighting, which spoiled the fight and robbed the crowd of drama. Both men fought to a plan though it was Joshua who executed his better. He finished the fight stronger while Parker was cut over the left eye in the tenth. It will go down as a good win for AJ. He went the full twelve round distance for the first time and paced himself well. He never looked uncomfortable or in any distress. Parker is young enough to come again, he showed good movement and chin but needed to force the action more. On the plus side, he’s the first man to take Joshua the distance. The fight had no knockdowns, or drama, but was still enjoyable. Fans expect thunder everytime but these two will have learned from the experience and move on. I had it 118-112 to Anthony Joshua, whose record is now 21-0, 20 KOs. Joseph Parker is now 24-1, 18 KOs. The official judge’s scores were: Steve Gray 110-118, Ian Scott 109-119, Steve Weisfeld 110-118. It was a clear win and Joshua now holds all the pieces of the Heavyweight title apart from one. The WBC belt, held by American Deontay Wilder, is missing. It’s the biggest match-up in the division but boxing is full of politics and smokescreens. The fans and the paying public want it. It’s up to the promoters and fighters concerned to deliver it. With so many boxing alphabets in the sport, it’s very hard to keep them happy and they have a history of stripping titles, from champions for no good reason. Joshua vs Wilder needs to happen soon or we will miss the chance of a Unified, Undisputed World Heavyweight champion. Anthony Joshua has taken another step on the ‘Road to Undisputed‘ – it’s up to Wilder to meet him face-to-face on the final step. What Are Jesus Cuellar’s Chances Of Pulling An Upset vs. Gervonta Davis?